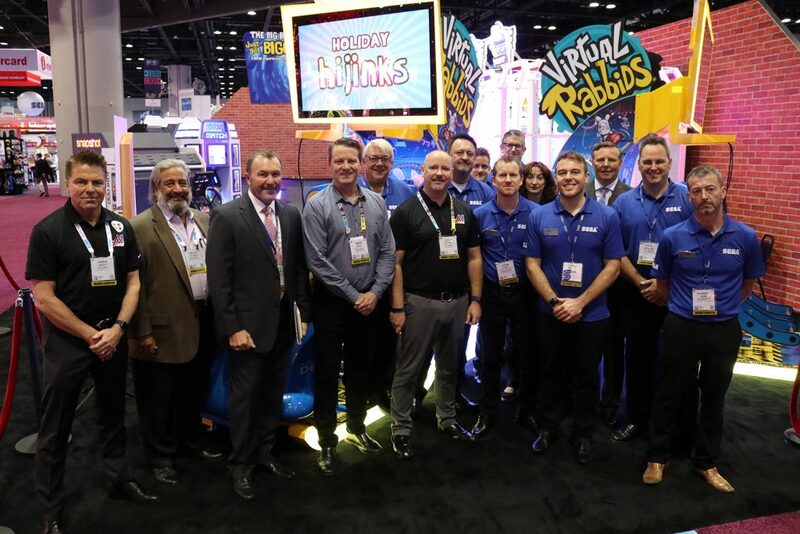 Dallas, TX USA – November 13, 2018 – Trusted Out-of-home Entertainment brands LAI Games and SEGA Amusements International Ltd have launched a new multi region distribution partnership. SEGA will distribute the award winning Virtual Rabbids: The Big Ride in countries throughout South America, Europe and Asia. Thanks to a hugely successful launch and record sales for the unattended VR ride, LAI Games is looking to bring the game to more entertainment venues and public spaces worldwide. With a strong global presence an unprecedented reputation for world-class service, SEGA Amusements International Ltd is well-positioned to bring the award winning Virtual Rabbids experience to these regions. LAI Games, a subsidiary of Helix Leisure, has been a leader in the interactive entertainment and game industry for over 50 years. The company develops, manufactures, and sells coin and card operated prize merchandising games, ticket redemption games, photo booths, kiddie rides, and video and novelty games. LAI Games is dedicated to bringing innovative and high incoming-producing games to the global market. Follow LAI Games on LinkedIn for more updates. Follow SEGA on LinkedIn for more updates.